In collaboration with Themissinglinks.info, Global Leadership is hosting the unique experience in a realistic game simulation called The Fresh Connection. The Fresh Connection: A Demand Driven S&OP Experience is a realistic simulation game of a supply chain management situation. The concept is simple: A business is in trouble and you have to fix it with your 3 teammates. In addition to developing team spirit, the Fresh Connection allows a better understanding of the financial issues of Supply Chain management. The experience also strengthens technical knowledge in Purchasing, Production or Sales allowing a better collective decision-making. This one-day unique Demand Driven S&OP Experience workshop will allow you and your team to experience and test implementing DDMRP buffers in a simulated environment powered by The Fresh Connection (TFC). Participants experience the positive impact of buffer implementation in a risk-free environment. The workshop discusses the broad concepts of Demand Driven Material Requirements Planning (DDMRP) buffer methodology, introduces the Demand Driven Adaptive Enterprise Model and the 4th buffer type: skills buffer. Experience an S&OP process to discover how implementing buffers in a budget-constrained environment, typical of the real-world, can still deliver high service level expectations while systematically reducing inventory investment and achieving an expected Return on Investment. The experience provides a platform for organizational change management, builds confidence for your DDMRP implementation project and is relevant for leadership and/or operational staff. So listen to Bob, the CEO of the Fresh Connection. He has problems with his business. Join us in this serious games, use Demand Driven S&OP, to make the business competitive. Caroline i e is an APICS instructor, a DDI master instructor, a trainer of The Fresh Connection serious game in 4 continents and an NLP Master Trainer. Caroline is the author of a bestselling management book: “Le chaînon manquant: management agile de la chaîne logistique en PMI” 3d edition AFNOR, won a national French award in 2008. Revised version illustrating the Demand Driven MRP methodology was published in July 2016 “The missing links” Industrial Press, USA. Read more about Caroline Mondon. Caroline has travelled all over the world with The Fresh Connection and serious games. 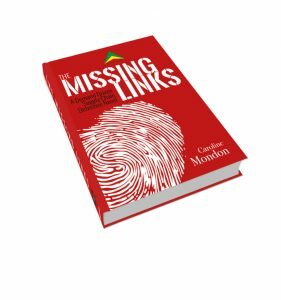 Read more about her and Missing Links on her website or download the PDF. What do previous participants say about the training? Yes, I was wondering how buffers were chosen and sized and after the workshop, I know enough to be able to speak about it. The most important think i had from this workshop, it’s much better to have buffers in a strategical location at our value chain in order to absorb the fluctuation from demand and supply, then the classical way with rough materials and finished product. Traditional Inventory Management is very focused on safety stock at warehouses (with complex calculations related to it). DDMRP is around ensuring flow throughout the supply chain, by means of placing buffer stock at various points. Buffer calculations are simpler to understand, with a smaller dependent on statistical data. To discover the DDMRP method and understand how to use it. Thank you for giving me the opportunity to discover this method, I want to succeed in deepening by doing a pilot project.